IFTTT is a service that lets you create powerful connections with one simple statement — if this then that. 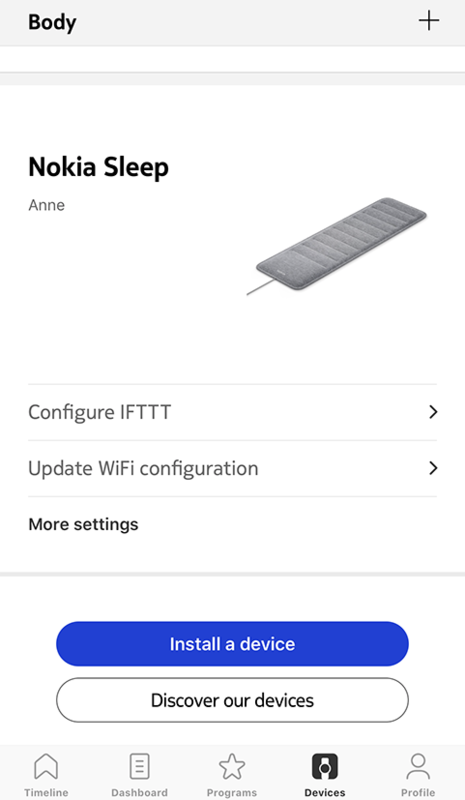 Using a very simple interface, it lets you create “applets,” that let you, for example, program your Sleep to turn off the lights when you go to bed or turn up the thermostat when you get up. 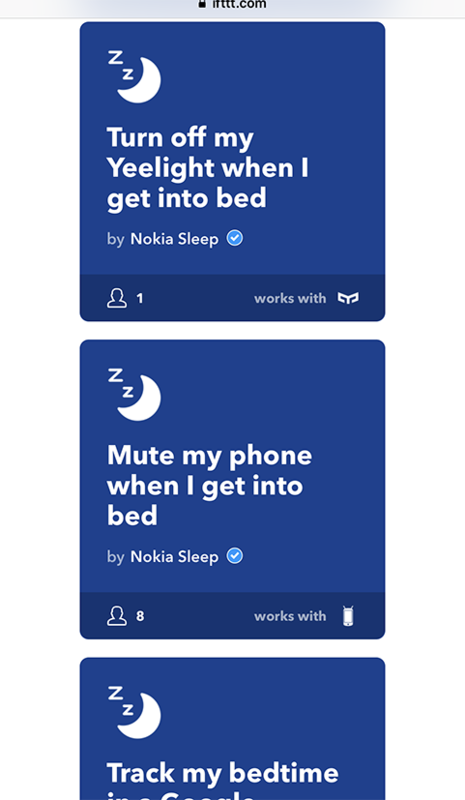 You can browse the dozens of applets already created by IFTTT users or create your own. Tap Sign in if you already have an account or click on Sign up to create one. Follow the instructions on the screen and tap Continue. 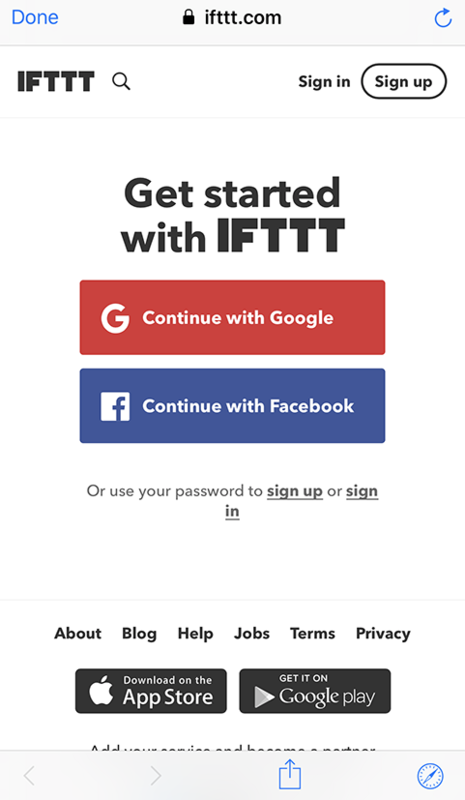 Tap Configure IFTTT once again. 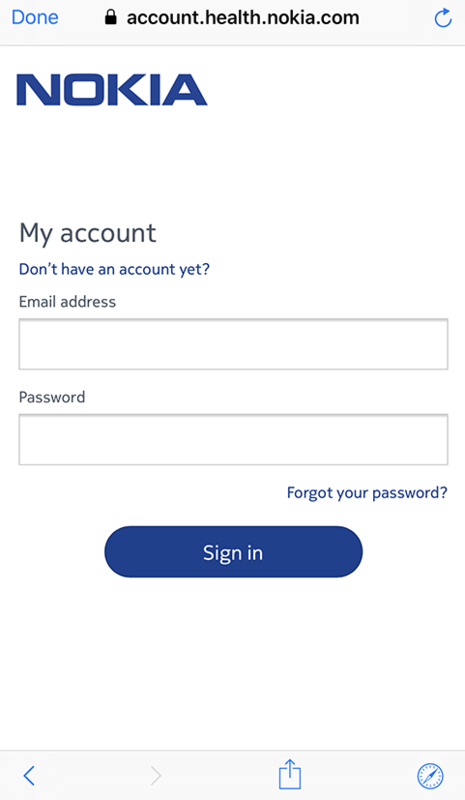 Login to your Health Mate account, if you already have one, or create one. 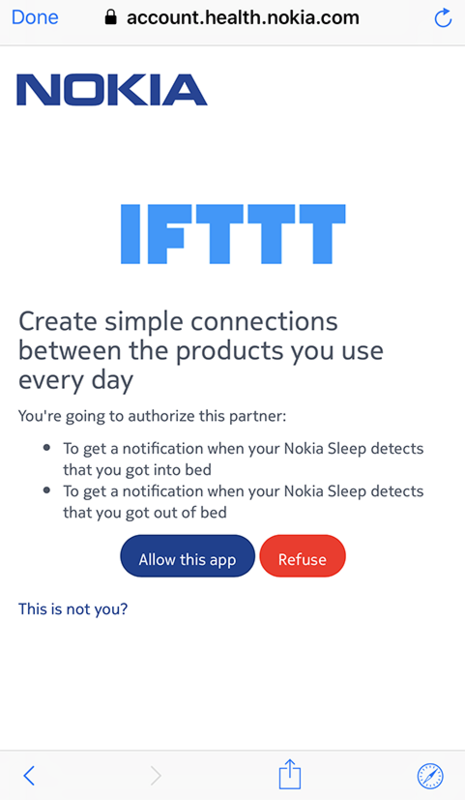 Your Sleep has been successfully linked to IFTTT. 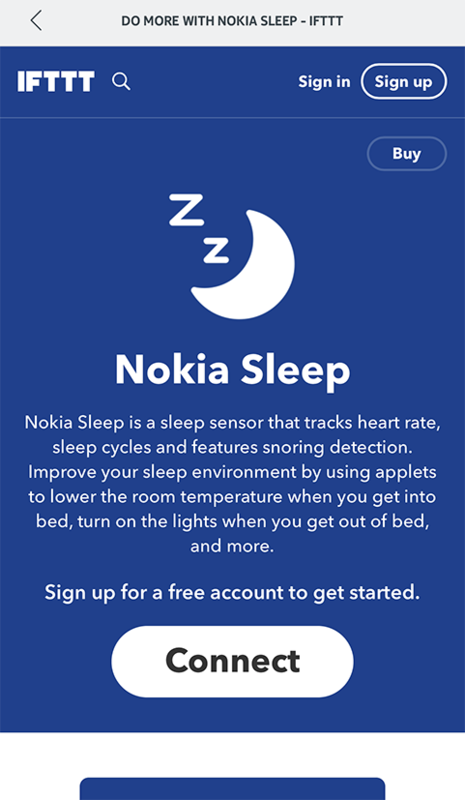 Scroll down the screen to discover the different home automation scenarios available with your Sleep.